Despite devastating 2016 wildfires that turned skies grey and forced an evacuation of Fort McMurray, Alta., University of Toronto researchers have found no evidence of harmful levels of residual toxic substances in local homes. Instead, their study of more than 60 homes in Fort McMurray found levels of contaminants comparable to homes across Canada. The findings, which so far suggest no immediate health risks due to fire-ash exposure, were recently published in Geophysical Research Letters. “That was the surprise – that even after this fire, we actually didn’t see higher levels of contaminants,” says Arthur Chan, an assistant professor in U of T’s Faculty of Applied Science & Engineering. The large wildfire in May of 2016 forced a mandatory evacuation of more than 80,000 residents in the city and surrounding region, making it the largest recorded wildfire evacuation in Canadian history. As people slowly gained re-entry to their homes a month later, concerns were raised about residual fire ash and other toxic substances in homes that could pose health risks. Smoke and ash can contain a large number of potentially harmful carcinogens, including arsenic, heavy metals and polycyclic aromatic hydrocarbons (PAHs). Chan and his research team visited Fort McMurray in the summer of 2017 to find out if there was indeed cause for concern. “Many people were saying, ‘I’m not sure if it’s safe for my children to come back and live here after this big fire,’” Chan says. Postdoctoral fellow Lukas Kohl and fellow researchers Meng Meng and Cynthia Jing vacuumed up dust from homes in Fort McMurray, looking for evidence of residual fire ash. 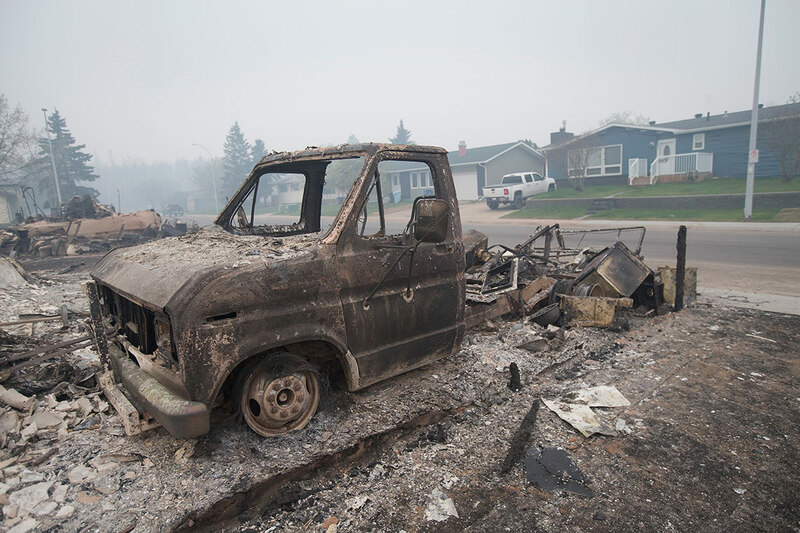 To ensure representative coverage, the team chose neighbourhoods that suffered significant damage – where re-entry was delayed – as well as neighbourhoods less affected by the wildfire. After analyzing dust collected in living rooms and bedrooms (the largest and most frequented areas in a home) for toxic substances such as PAHs, arsenic and heavy metals, the team reported that the levels, while detectable, were no higher than in Canadian homes that had not been affected by the fire. For some chemicals, such as lead, levels were actually higher in Toronto homes than those in Fort McMurray. “Since Fort McMurray is a newer city, a lot of the infrastructure like pipes and paint don’t contain lead,” says Chan. Although the results surprised Chan’s team, he suspects the reason levels were normal has to do with residents’ cleaning habits. Chan's lab will continue to study samples collected from other areas of the home. They’ve also partnered with a pulmonary specialist at Toronto General Hospital, who is currently assessing the lung health of those who participated in his lab’s study. Chan stresses there are other types of health concerns that can result from the fire, ranging from the mental health of victims to the occupational health of firefighters who battled the blaze. But for this study in particular, he hopes the findings give the Fort McMurray community peace of mind.